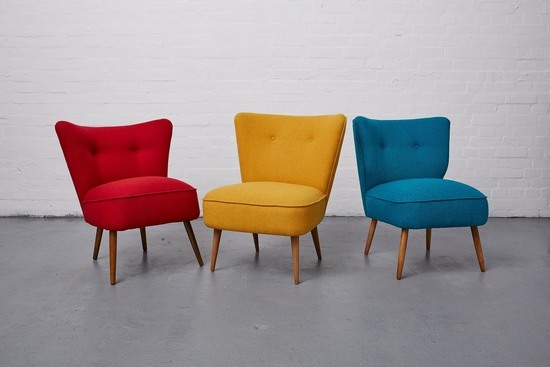 We specialise in upholstering our 1950’s vintage cocktail chairs in vibrant Harris Tweed fabric with matching Harris Tweed scatter cushions. 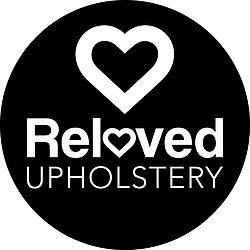 Reloved Upholstery are Ercol recommended restorers - we stock vintage Ercol chairs and sofas with bespoke upholstery using other wool fabric from Bute and Abraham Moon & sons. Sourcing beautiful mid-century chairs from the likes of G-Plan, Ercol, Greaves & Thomas and Parker Knoll, all of which are known for the their timeless design, quality of workmanship and robustness. A carefully curated library of fabrics from traditional to modern is available to my clients to choose the perfect finish for their design classic.